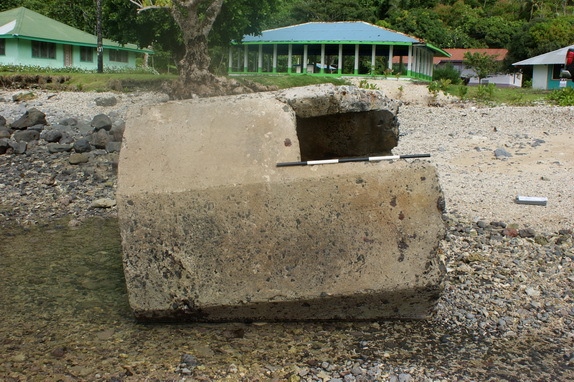 October 29, 2012	(Newswire.com) - Archaeologist Dr. Joel Klenck has nominated World War II structures at Masefau in American Samoa to the U.S. National Register of Historic Places. 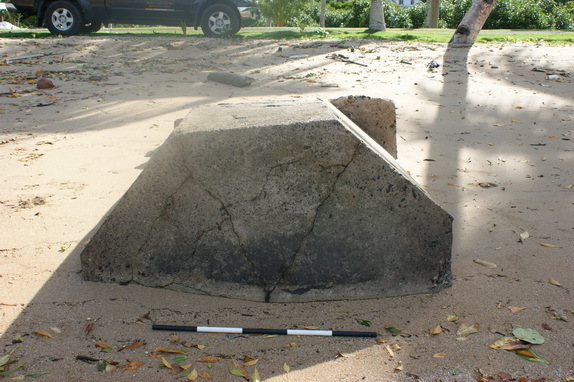 Klenck states, "The World War II features at Masefau are similar to the two-tiered domed pillboxes first identified by the late archaeologist Joseph Kennedy, which are prevalent on the island of Tutuila. However, the Masefau constructions exhibit a variation of this design and comprise non-tiered octagonal structures." 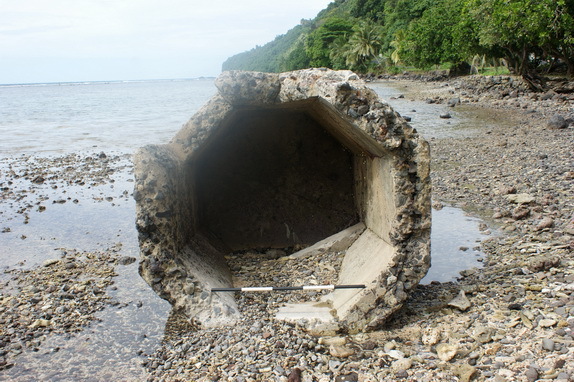 David Herdrich, the Director of the Historic Preservation Office in American Samoa, states, "The martial structures at Masefau broaden our knowledge regarding the variation of designs in World War II defensive fortifications. In addition, this nomination is opportune as the government of American Samoa is preparing a tourism effort to guide former veterans and new visitors to historic properties that were built during the War." The fortifications at Masefau were impacted by a tsunami in 2009, which revealed the foundations of these structures. 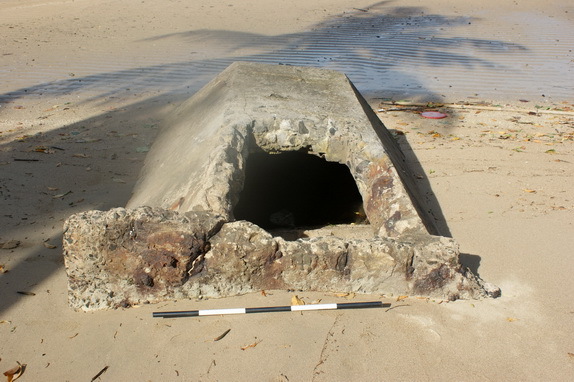 Previously, the archaeologist Joseph Kennedy advocated that separate compartments were attached to these pillbox types for ammunition storage. The Masefau fortifications exhibit no attached structures and are stand-alone units with a rearward entrance at the base of the pillboxes. 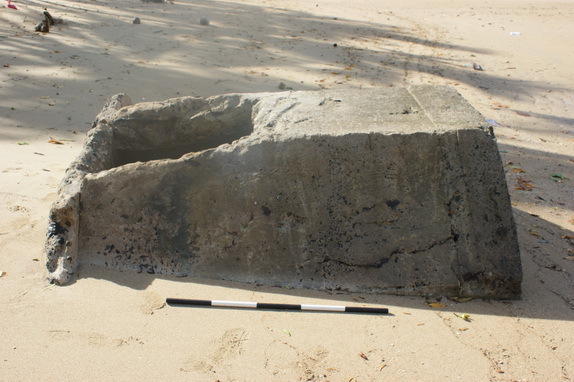 Joel Klenck concludes, "The lack of separate compartments at the base of the structures at Masefau in the northeast of Tutuila Island contrasts with the presence of additional components on pillboxes in the west of the island such as found at Maloata. This difference may indicate varying tactical considerations by the U.S. Marines and Navy in preparing the defenses of Tutuila for a Japanese invasion during World War II."